There has been a steady flow of positive news for Cycliq Group (ASX: CYQ) over the last fortnight with the company expanding its Australian and global reach through distribution agreements, as well as launching an online sale portal for Australian bike dealers. While this has resulted in its share price bouncing approximately 10%, it appears to be off an oversold base, suggesting news released today that it has launched its cycling accessory products on Amazon Japan could provide further momentum. As a backdrop, CYQ is the number one brand in high definition camera and lighting combinations, delivering cycling safety and action camera solutions for commuters, mountain bikers, racers and professional cyclists alike. 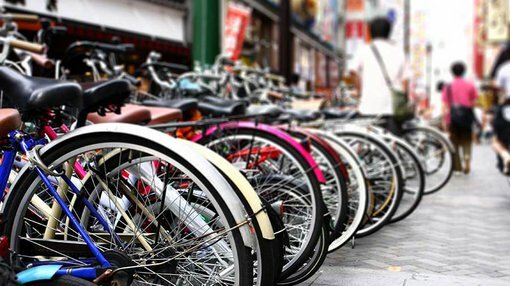 Japan is an important market for the company, as a report released in 2016 by Global Industry Analysts valued the bicycle industry in that country at US$1.95 billion. The same report predicts the annual market for parts and accessories will grow to US$408 million by 2022. This is well supported by data regarding bicycle usage in Japan where 78% of the population owns a bike. Looking specifically at CYQ’s range, management expects strong demand for its Fly6 and Fly12 products, all in one safety lights and high definition cameras as illustrated below. By law, cyclists in Japan must be equipped with a front light which needs to be turned on at night. Commenting on this recent development and the importance of penetrating the Japanese market, CYQ’s Chairman Chris Singleton said, “Cycling is a big part of the culture and people are technology oriented, which makes it the ideal place to sell our products”. Importantly, Amazon Japan is accessible to consumers throughout Asia and offers reduced shipping rates to homes and businesses in mainland China, Macau, Hong Kong, Taiwan and South Korea, regions where per capita bicycle usage is comparatively high. Singleton highlighted the fact that the company’s high definition cameras have about 10 hours of battery life making them the best performing action cameras on the market. Upcoming milestones that have the potential to provide further share price momentum are as follows.